Back in the year 2000, Robbie Rivera probably became a worldwide known artist with the track 'Bang'. The single was released on multiple labels worldwide and it sold over 250,000 copies on vinyl and CD singles. 'Bang' reached Number 13 on the UK National Chart and was on rotation on major FM stations around the world. At only 26 years old, Rivera was invited to make appearances on the UK's most important TV shows such as Top of the Pops, MTV Live, The Pepsi Chart Show, BBC Entertainment News and the morning show The Big Breakfast. 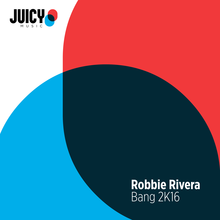 Fast Forward to 2016 and Robbie Rivera has a Number 1 track on Beatport with a remake of his classic track 'The Funkatron' and now Juicy Music releases the new version of 'Bang'. 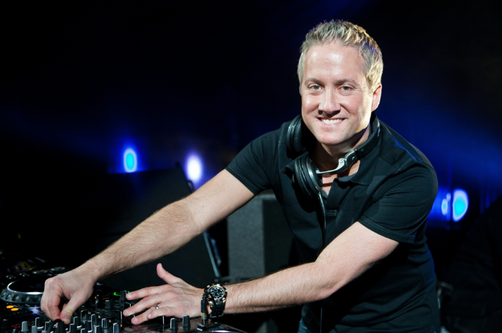 Robbie’s kept the original piano riff and vocals and added a vocal snippet and his emblematic tribal house beats which should go down well, especially in the summer season. This new version of 'Bang' will also launch Juicy Music's fresh new look.